Pat Hyer was born as one of four children in Cleveland, Ohio to working class parents. Pat and her sisters grew up expecting to go to college; eventually three of them would get doctorates. After graduating from high school, she was awarded a scholarship to Hillsdale College in Michigan, a small liberal arts college. The academic and social environment of the college was not a good fit for her, but she had a stellar experience living and studying in Paris during her junior year. She returned to Hillsdale for her senior year, graduated at the top of her class, and won a full scholarship for graduate school in French at the University of Michigan in 1970. This was a heady time for the women’s movement nationally and at ODU where there were a number of faculty women activists. 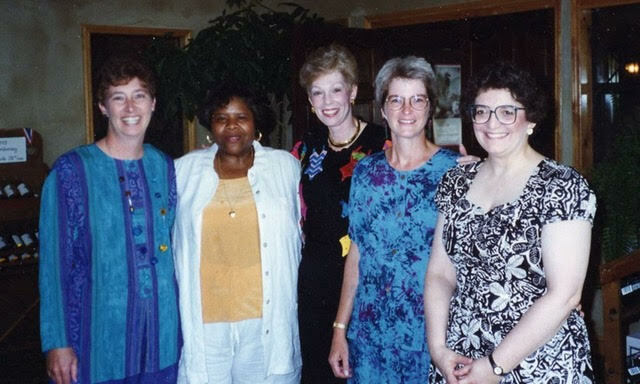 Pat had been sensitized to the issues of returning women students during her internship at the University of Michigan Center for Continuing Education of Women, a new type of entity on a college campus. At ODU, she immediately became involved in creating a similar women’s center on campus, helped other faculty women launch a women’s studies program, and advocated for Title IX changes at the institution (pay equity, elimination of biased hiring and personnel practices, more responsive health care coverage, among other things). After four years at ODU, she decided she needed to pursue a Ph.D. The options were limited and she chose to follow her husband to his new faculty position at Virginia Tech; there, she would pursue a Ph.D. and work part-time. When they arrived in 1978, “Virginia Tech’s legacy as an all-male, all-white institution was still a potent presence, creating a challenging environment for women and people of color.” Although “just” a graduate student, Pat became deeply involved in the Faculty Women’s Caucus, analyzing faculty data, writing reports, and meeting with administrators to push for change for women. Yet for Pat, there was virtually no progress in those years 1978 to 1983. 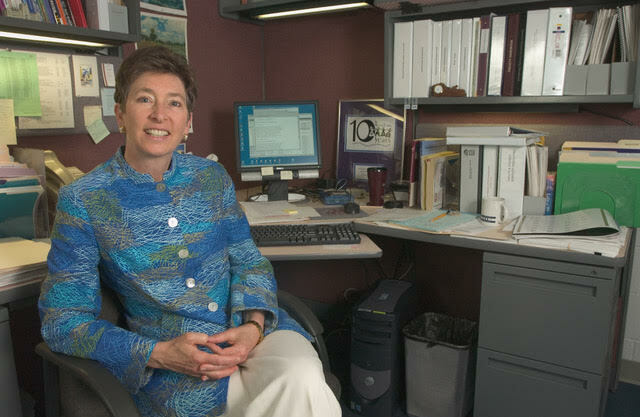 Following completion of her Ph.D., Pat took a position at the University of Maryland; her husband eventually joined her several years later. But Maryland was a poor fit for Mike and, when Paul Torgersen recruited him to return to the VT engineering faculty to head up a large grant program, they had a difficult decision to make. The year 1987 was a moment of change at Virginia Tech. The university had been embroiled in several serious controversies, which led to the resignation of several senior administrators and eventually President Lavery. The hiring of President McComas, who was committed to diversity, was an opportunity to change the culture for women and minorities. 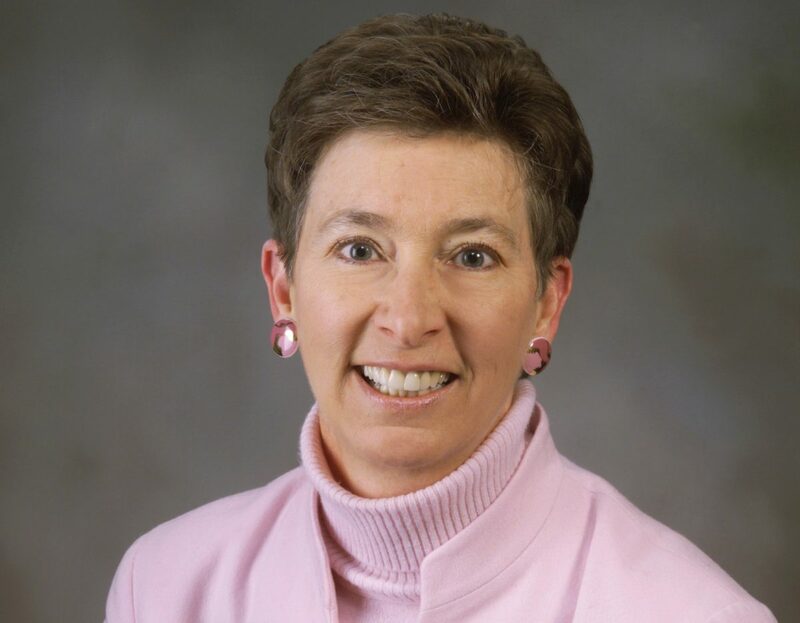 Pat was hired by John Perry, Vice Provost for Academic Affairs, first in a temporary administrative position and then on the Provost’s staff permanently. Over the years her responsibilities grew and evolved. She worked on academic budget allocations, faculty personnel issues and policies, support for the board of visitors, and leadership for diversity issues. Progress for women became Pat’s career-long commitment and her legacy to Virginia Tech. 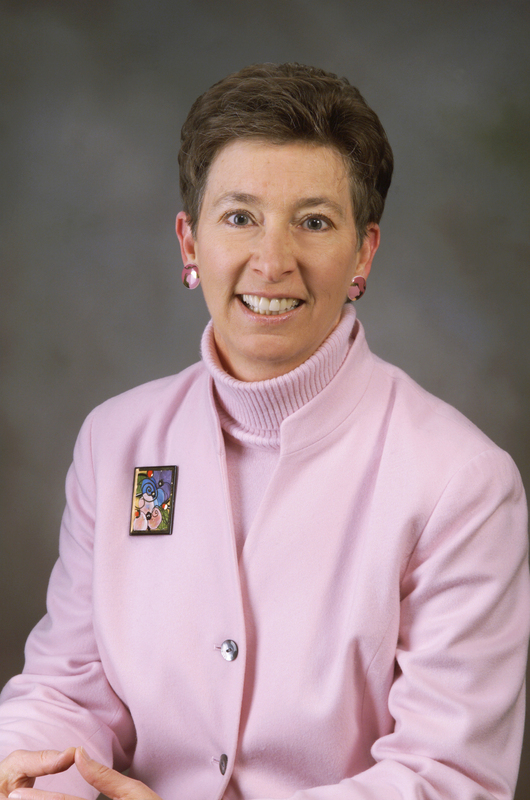 Along with others on the Coordinating Council for Women’s Concerns, Pat advocated for the creation of a women’s center at Virginia Tech, which launched in 1994 with support from the Provost. She was involved with numerous other initiatives, the most important of which was AdvanceVT, an institutional transformation grant to address the paucity in numbers and low rate of retention for women faculty in science and engineering. The $3.5 million grant from the National Science Foundation was awarded in 2003. The Advance team led initiatives for recruitment, retention, and promotion of women faculty and graduate students in STEM disciplines. A series of family-friendly policies, an office to support dual-career hires, increased child care in the area, and improvement of department culture and leadership were important outcomes of the collective effort associated with the NSF grant. Over her nearly 25 years in the Provost’s Office, change on behalf of women and people of color never came easily, and there were deeply challenging times. For Pat, the greatest threat to progress came in 2003 when the Board of Visitors voted to eliminate affirmative action and delete the non-discrimination statement protecting gays and lesbians. The Rector at the time also led the board to deny the appointment of the female partner of a newly recruited female vice president. These highly contentious moves by the board resulted in strong opposition from faculty and students and a great deal of negative national publicity for the university. Following pressure from many quarters, the board eventually retracted its decisions. Through the good and bad times, Pat states that she’s grateful for the people she’s worked with at Virginia Tech. She had a community of people working with her that respected one another as they worked towards goals, which she appreciates. In the future, she hopes to see Virginia Tech continue to progress as an institution and develop mentoring networks for faculty, especially women. She also hopes to see the Principles of Community highlighted on campus, which she believes President Sands is doing well. Most of all, Pat hopes to see strong leadership throughout Virginia Tech and departments ready and willing to make change happen at the university. Experience Pat Hyer’s full interview here!